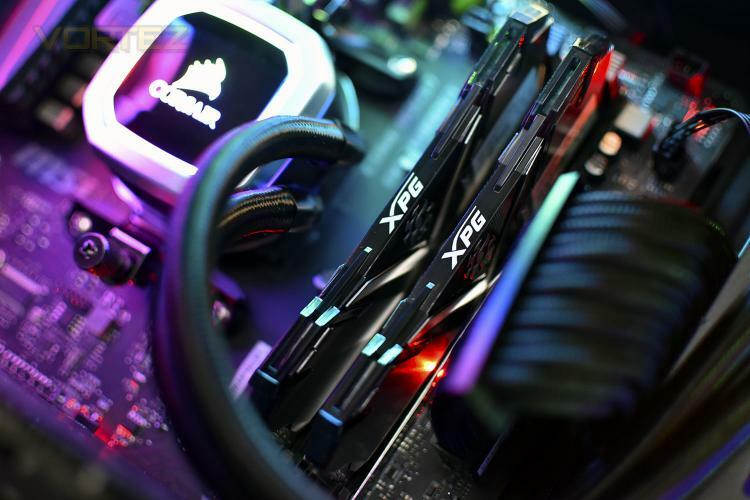 XPG, a daughter company of the much larger ADATA, produce high-end gaming-orientated peripherals, SSDs and DRAM. The products often feature stand-out appearance and are geared towards appealing to the young gamer in us all. The XPG GAMMIX D30 DDR4 kit that we’re testing today features a stylish design, with some fancy heatspreaders which are paired to a translucent top cover; the top cover is available in red or black, we’ve been provided with the black version. Utilising Intel’s XMP 2.0 standard, XPG offer kits ranging from 2666MHz all the way up to 4600MHz for users that require the absolute bleeding edge of performance. The DIMMs arrive in 8GB or 16GB modules, allowing large capacities to be installed. Foregoing the RGB lighting of most modules being released, the price is reasonable, with other 3000MHz kits costing roughly the same, or more. However, at the time of writing, DDR4 pricing is trending downwards. The GAMMIX D30 DDR4 is not yet available in stores with plans in place to see it launched in April. But enough of all of that, let’s take a closer look and see how it stacks up against the competition. Whether you’re a gamer, PC enthusiast, or overclocker, you’ll appreciate the combination of the GAMMIX D30’s edgy wing-shaped design and excellent speeds of up to 4600MHz. What’s more, it features Intel® XMP 2.0 profiles for hassle-free overclocking when you need an extra boost.